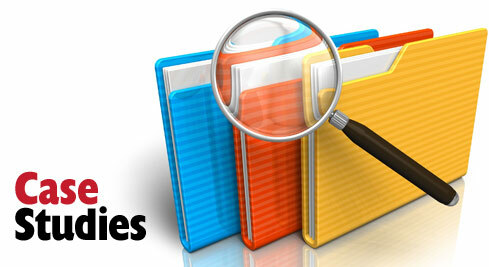 SmartDitch are proud to announce the appointment of Burdens as a distributor throughout the UK for our products. Rory Lipington of SmartDitch said ” The appointment of Burdens as a distributor for SmartDitch is a great step forward for us, they are a well known and respected name in the industry and makes our products more accessible to the market as they have 36 branches spread throughout the UK”. To find out more about Burdens and to locate your nearest branch then please visit their web site www.burdens.co.uk. SmartDitch will be exhibiting at this years Flood Expo which is being held at the ExCel centre in London on the 14th & 15th October and we will pleased to see you on our stand (F510). 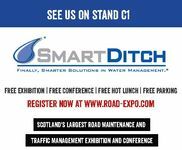 We will be displaying the SmartDitch trapezoidal and Megaditch ranges of ditch liners. Flood defence and prevention expo presents solutions to widespread flooding problems from the UK’s leading flood prevention companies, alongside an extensive seminar and workshop schedule highlighting new , cost-effective ways to prevent and manage floods. 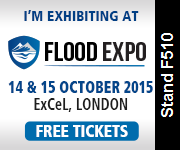 For further details please go to www.thefloodexpo.co.uk.